Through the years, WOMEX has become a reference in the World Music community. We consistently strive to reach all nations, break barriers, borders and create a community by providing a platform of unity, diversity and success. This year, we travelled to Las Palmas de Gran Canaria, in the Canary Islands, for the first-ever Transatlantic edition of WOMEX, splitting between two venues: INFECAR and Auditório Alfredo Krauss. The capital city of Gran Canaria was, across a total of five days, the centre stage of the most international music meeting for World Music. As 2018 reaches its end, it’s now time to reflect on what this exciting year has brought and what 2019 holds in for us. Aside from hosting 2,700 music professionals from 92 countries, we were also able to implement new strategies and projects for future generations. By travelling closer to the shores of West Africa, and for the first time ever outside continental Europe, the warmer climates allowed an open-air showcase stage, recreating a Summer festival atmosphere in late October. We also successfully showcased 60 musical acts with 300 artists representing over 50 countries and 16 films, including documentaries from across the globe. 23 conference sessions were also made possible with mentoring opportunities with 60+ experts, 4 roundtables and 5 one-to-one mentoring sessions, 19 network meetings and offWOMEX presentation. This year’s edition also featured the WOMEX Academy for the very first time in partnership with Goethe-Institut Senegal, GIZ (German Agency for International Cooperation) and ACERCA programme of the AECID (the Spanish Agency for International Development Cooperation), while continuing our collaboration with the existing partner, the Sibelius Academy from Finland. The World Music ecosystem is ever-changing and, thankfully, it provides a space for growth and personal development. 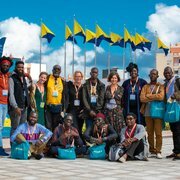 With this idea in mind, the WOMEX Academy was brought into action with the premise of supporting artists and other music professionals who wish to strengthen their skills, access the international circuits and markets, learn about global music trends and its business, make musical discoveries, and forge new business relationships and career opportunities. 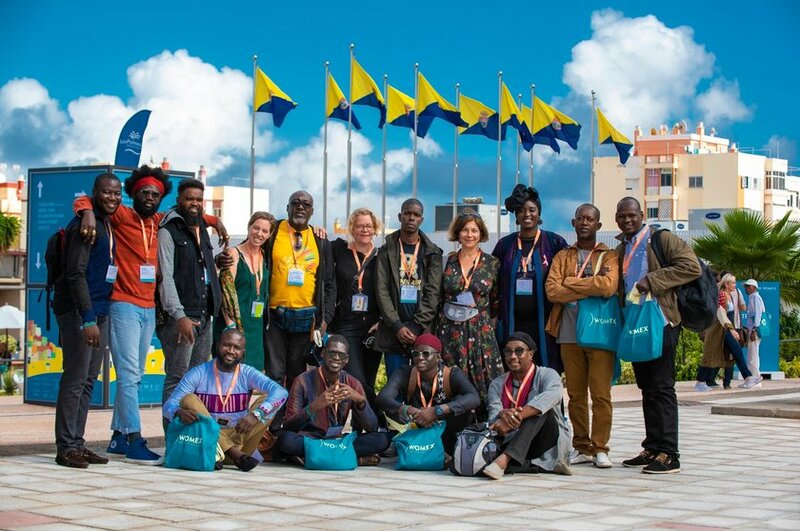 The WOMEX Academy Initiative acts as a proactive door-opener for the participants, and this year was happy to welcome its first West African music professionals into the international live and recording markets. As statistics and demographics showed, this year’s attendance increased in numbers and values, attracting younger audiences and professionals, ranging from new music festivals, venues, promoters and artists, who also brought new ideas, projects, ambition and a thriving passion to do more, bigger and better. To sum up, we want to thank you for being part of this vibrant community. Thank you for inspiring us to grow and for your constant support. With a fulfilling year like this, our objective is to make 2019 even better. WOMEX will travel to Finland for the first time and to one of the best-kept secrets in Northern Europe. Tampere, a big Finnish city with a small-town feel, will host WOMEX for its 25th edition between 23 - 27 October 2019.